We all know that iOS4 Update For iPhone 3GS, iPhone 3G and iPod Touch is coming This Monday, for free. But do you really need to upgrade to iOS4 ? which is confirmed to be unlockable by redmondpie.com. It will follows the release of first batch of iPhone 4 devices that will ship next week (June 24th ). iPhone 3gs and 3g users needs to keep in their mind that iOS4 ( formerly known as iPhone OS 4 ) is designed for iPhone 4 and will definitely drain iphone 3gs and iphone 3g battery faster than usual usage. So better be sure before updating. 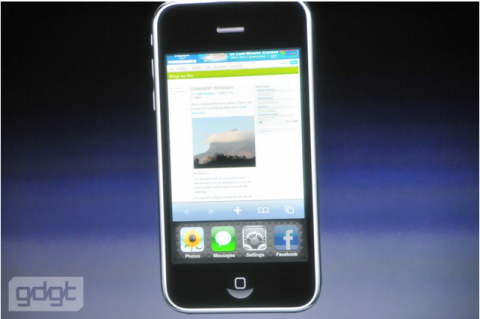 This is because of the additional features that iOs4 have as mentioned in Steve Jobs Keynote. I would suggest searching for comments in Google about reviews of iOS4 in iPhone 3g before updating.